For the very first time in Russia, researchers from NUST MISIS have developed a novel therapeutic material based on nanofibers. The nanofibers are composed of polycaprolactone altered with plasma components of human blood and a thin-film antibacterial composition. The living biodegradable bandages developed from these nanofibers will speed up the growth of tissue cells by twofold. This will play a role in the normal regeneration of damaged tissue cells and also inhibit the formation of scars in cases of major burn injuries. The key objectives in regenerative medicine, and especially in burn therapy, are the effective regeneration of damaged skin tissue and the prevention of scar formation. When skin is severely damaged, whether through a burn, cut, or a skin problem such as fungal acne infection or acne, it results in scar formation. Since scar tissue has reduced functional properties, it considerably differs from the tissue it substitutes. Also, since scar primarily mainly contains irreversible collagen. For instance, scars formed on the skin are not elastic, are more susceptible to ultraviolet radiation, and the hair follicles and sweat glands are not restored in the area. Led by senior researcher Ph.D. Anton Manakhov, a team of researchers from NUST MISIS Inorganic Nanomaterials Laboratory suggested an innovative answer to the medical problem. 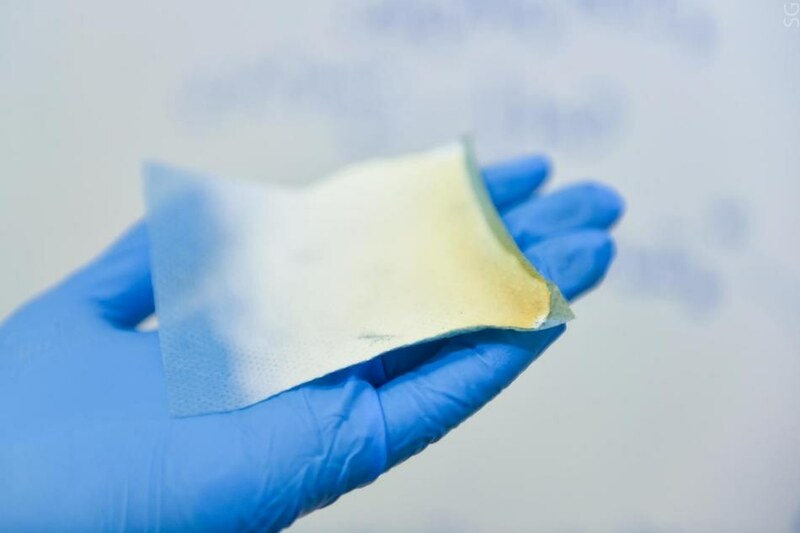 By creating 'bandages' with multi-layers of multifunctional bioactive nanofilms and biodegradable fibers, it helps to stop scarring and speed up new tissue growth. Unique healing properties were imparted to the material through the addition of the antibacterial effect – i.e. introducing joining antibiotics or silver nanoparticles together with the increased biological activity to the surface of the blood plasma proteins and hydrophilic groups (-COOH). When bandages made of the developed material were applied to an injured area, it was seen that the normal skin covering the tissue was successfully regenerated and scarring on the site of damaged or burnt skin was effectively prevented, demonstrating a major acceleration of the healing process. Multifunctional nanofibers contain antibacterial components, which decrease inflammation, while the blood plasma with a high concentration of platelets — critical and multi-purpose for all elements in the healing process — triggers the process of tissue regeneration. During the course of treatment, the bandages should not be changed or removed as this may cause more pain to the patient. Following a specific period of time, the biodegradable fiber “dissolves” easily with no side effects. With the help of chemical bonds, we were able to create a stable layer containing blood plasma components (growth factors, fibrinogens, and other important proteins that promote cell growth) on a polycaprolactone base. The base fibers were synthesized by electroforming. Then, with the help of plasma treatment, to increase the material`s hydrophilic properties, a polymer layer containing carboxyl groups was applied to the surface. The resulting layer was enriched with antibacterial and protein components. In collaboration with the Research Institute of Experimental and Clinical Medicine (Novosibirsk, Russia), the researchers have already performed a set of pre-clinical trials. In vitro results have demonstrated that the regeneration process gets accelerated twice as quickly upon the application of these innovative bandages. The researchers expect to obtain the results of in vivo drug testing in the near future.